The IdeaLab is located in the Weitz Center for Creativity, Room 26. Academic Term Open Lab Hours: available for open use outside of scheduled courses (check schedule posted by door for updated info) and by card access 24/7. 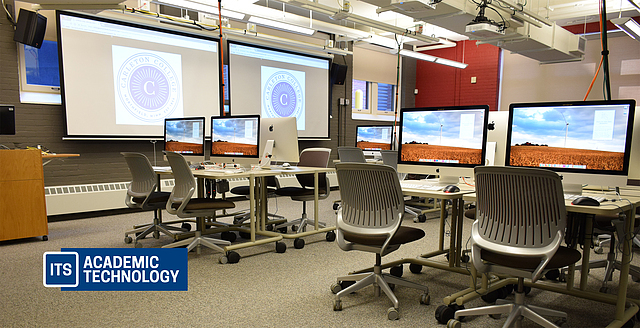 Carleton College's Weitz Center for Creativity contains a rich array of resources and expertise to help individuals create, learn, and share creative works. Within the Weitz Center, the Gage/Bauer IdeaLab (supported by a gift from Bill Gage ’64 and his wife Nancy Bauer) was created specifically for active and collaborative learning.